When it comes to subscriptions there is one box I get so excited to receive and that is from Pawsome Box. Bella and Juno feel the same way, it took a long time to get these photographs because they wanted to steal things from the box. They are currently fighting over the ice cream cone but having a great time. Juniper is new to the Pawsome Box, Bella truly understood that this box was for her. 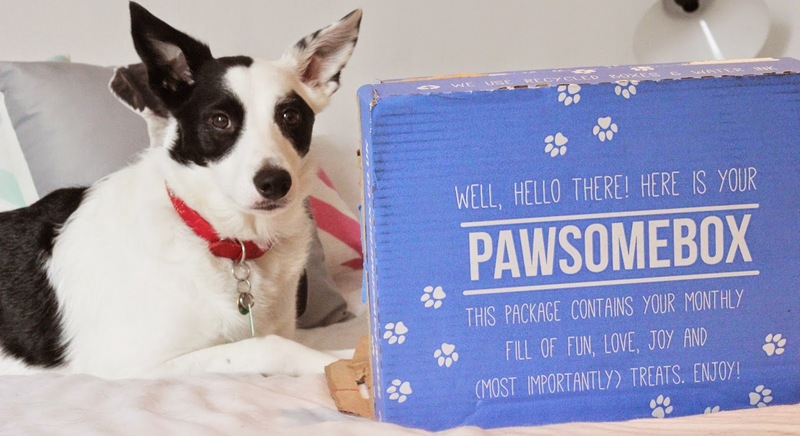 Pawsome Box is a monthly subscription for your dogs, there is one for cats too called Purrfect box which is super cute. Each month you get a selection of products to try based on information you give when you sign up to Pawsome. I enjoy the themes each month, this keeps all the products exciting. Aprils box theme is Let's Chill with a selection of chews and toys for the dogs. I do agree that my dogs are huge posers but how cute are they? I am biased! 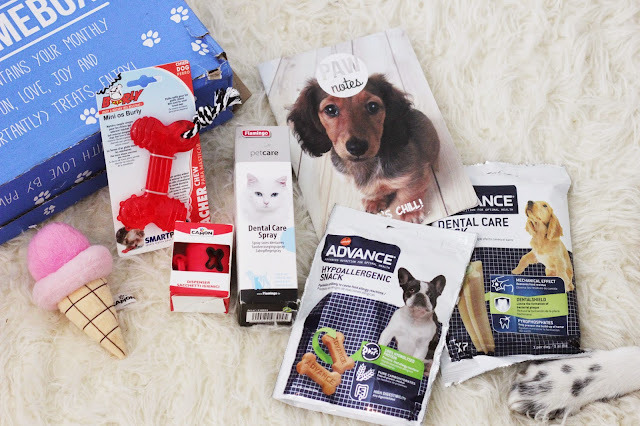 Overall a great subscription box to keep your dogs happy with toys and treats all in one box. every month there is a new theme which makes the box fun. My dogs love this box and we tend to use every product in the box. from poop bag dispensers to dental treats. 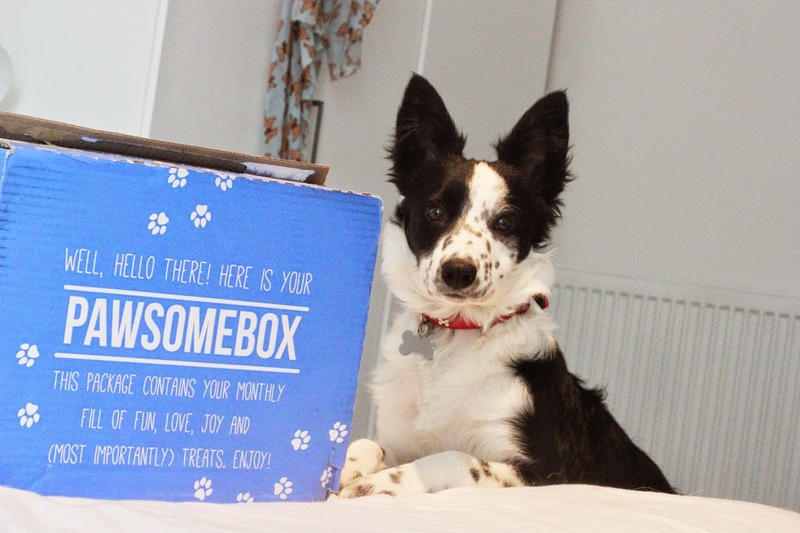 You can get a free trial of the dog or cat box and all you have to do is pay the £2.90 for the delivery. (link) please read the terms and conditions. 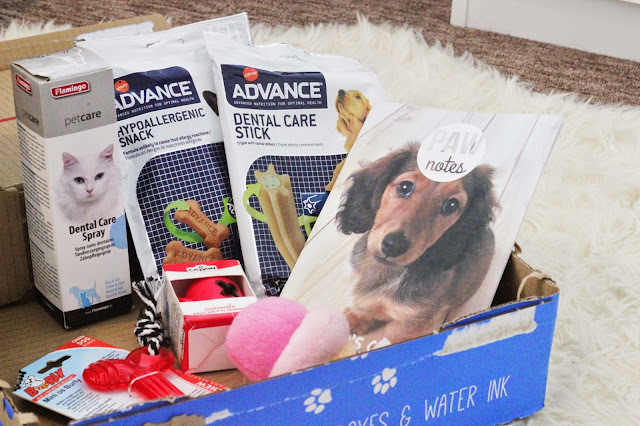 ADD25 for Puppy Food and Treats from Advance. ADS25 for Dog Food and Treats from Advance. N'aww that is a lovely box! 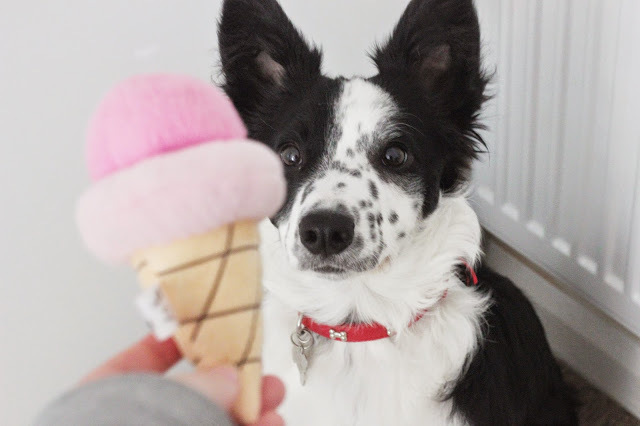 Love that ice cream toy the most! Those are some happy pups! What a great idea.